Cosy is for cool rooms between 16 and 20°C. From the leading experts in safe sleep, the Swaddle Grobag is the next generation of swaddling. Based on the latest medical expertise for safety and optimum effectiveness, this is the first stage in providing your baby with a comfortable and content night's sleep. ARMS IN swaddle safely and easily with confidence, no wrapping needed. Reassuingly snug on top, hip healthy leg space on the bottom. 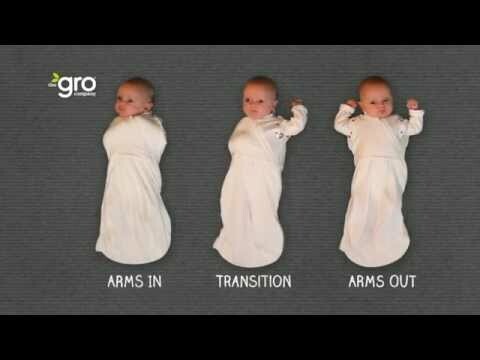 The Swaddle Grobag helps new babies to feel secure all night, they wont wake from startling themselves. ARMS OUT one or two arms, teh perfect transition to STAGE 2, a Grobag. Features: Chin and zip guards to prevent rubbing. Extra long baby safe YKK zip, opens from bottom for easy nappy changes. Highest quality construction - no rough seams or edges. Unique curved seams create space for hip healthy natural leg position. Supersoft cotton with elastane for stretch.